The beginning of September started off with back-to-back racing weekends, creating a high level of additional pressure for the team for a few reasons. “For starters, we’ll be missing two team members, with the added Laguna Seca date falling on the calendar at a time when Lee-Anne and Michael (Ostby) had planned to be on vacation. Plus, while we currently lead in the points, we’ve had our fair share of mechanical issues. If we encounter anything, the hope is that it’s minor enough that it can be addressed in between race weekends,” Prima Racing Principal, Andrie Hartanto commented. Heading into the weekend, Prima Racing held the lead in championship points, yet the margin was narrow enough that the season points championship was a fair target for nearly every team. At the same time, if any team were to suffer a DNF result, it could easily result in the end of the team’s championship run. 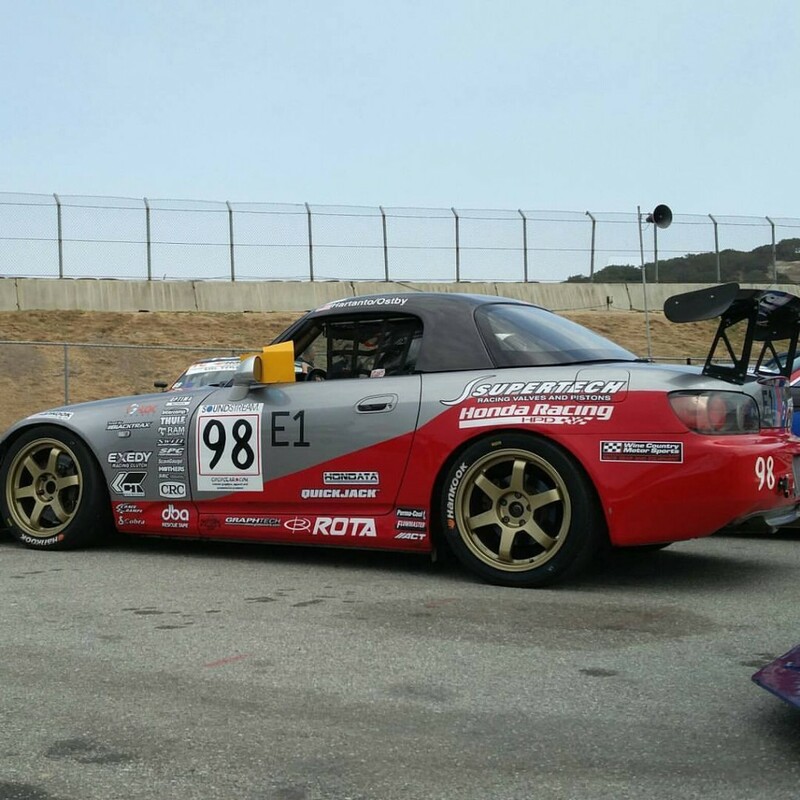 The second Laguna Seca round also saw the debut of Prima Racing’s newest team member, Jack Nguyen. At Laguna Seca, Hartanto and the team picked up right where they had left off during their season opening performance, running at front of the TC Class field and qualifying on pole position. The race, however, turned out to be an entirely different story as once again, the team encountered technical challenges. 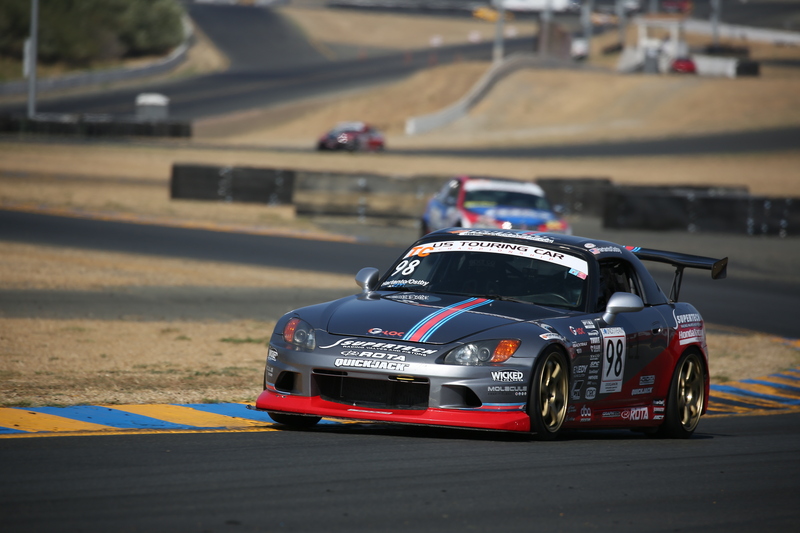 The team’s Honda S2000 exhibited the pace early on, but after a few laps it became apparent that there were problems. “We were experiencing both a failing rear differential, plus an ABS system failure,” Hartanto admitted after the race. “While ABS failure might not seem to be a major concern, the problem is that with the S2000 once you experience ABS failure, it becomes very easy to lock up the brakes. This can make the car very difficult to drive,” Hartanto elaborated. 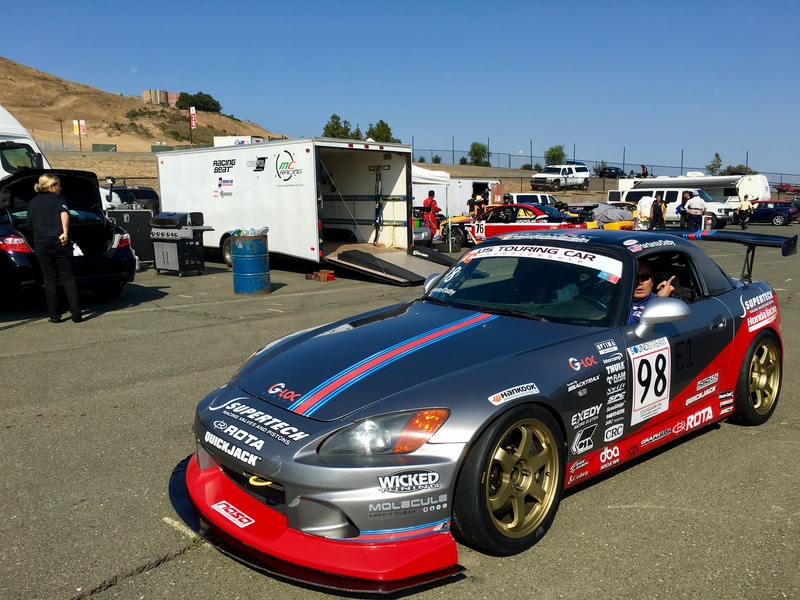 Undaunted by the failing differential and brakes, Hartanto pushed the S2000 around Laguna Seca as hard as he could, keeping the car within the increasingly narrow spectrum of limited performance. 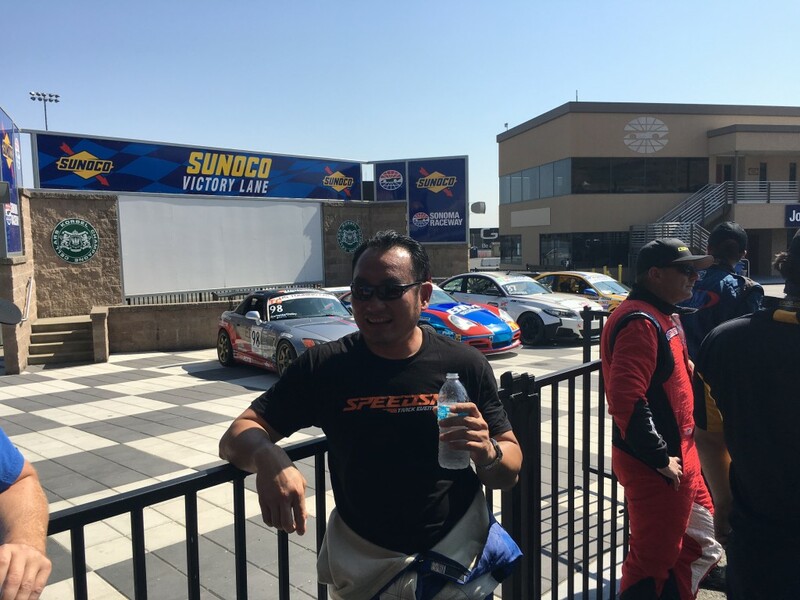 By the time the 45-minute race had concluded Hartanto had managed to only sacrifice two places, preserving a podium finish in third, with SpeedSF’s Patrick Chio in his Nissan 350Z and GoGoGear’s Gary Sheehan in his Hyundai Genesis finishing second and first, respectively. “The result isn’t ideal given how strongly we qualified, but we’ve still managed to salvage points. Fortunately, tomorrow is Labor Day, so the team can put in a solid day’s work on a week day, as we need to sort out the problems before next weekend’s race,” Hartanto remarked. With the championship points battle becoming much tighter, the importance of a strong finish in the final three races grew in prominence. After the most recent round at Laguna Seca, Prima Racing held a 20-point lead over GoGoGear’s Gary Sheehan and a 30-point lead over BTM Motorwerks’ team of Michael Shawhan and Roger Eagleton. Failing to make any of the final races or a DNF would spell disaster for the team’s championship prospects. 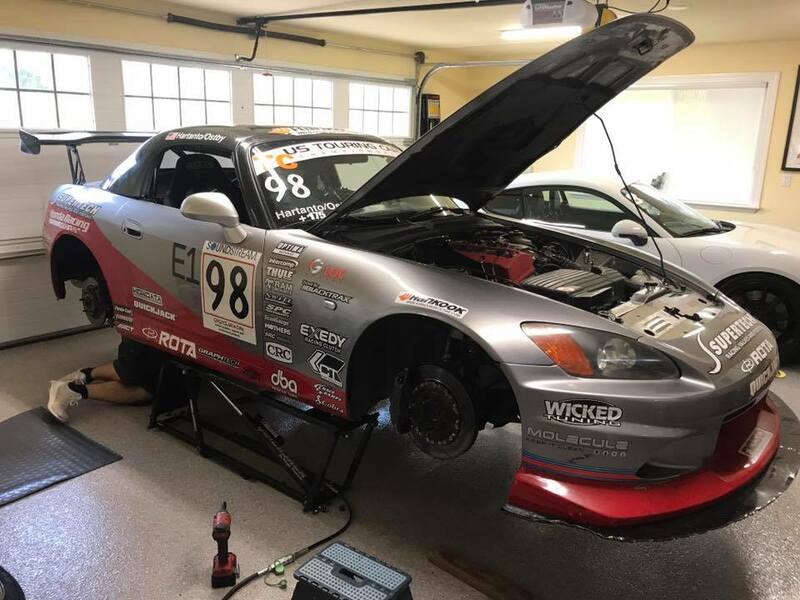 That following Monday, the team made short work of swapping out the differential and attacking the ABS issues that plagued the S2000’s performance. With the issues resolved, Hartanto and company were ready for the next race in the coming few days at Sonoma Raceway. 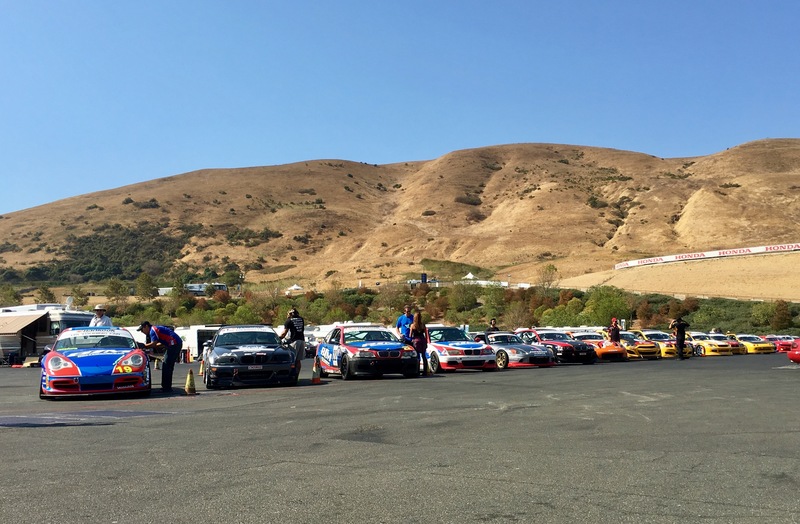 “Sonoma is a strong track for me personally, but its layout really makes it a BMW track. We’ll have to push hard. The last time we squeezed out a nice lead before our tire failure on the last lap. I’d like to think that we can pull out another lead like that, but the competition is clearly getting stronger,” Hartanto explained. 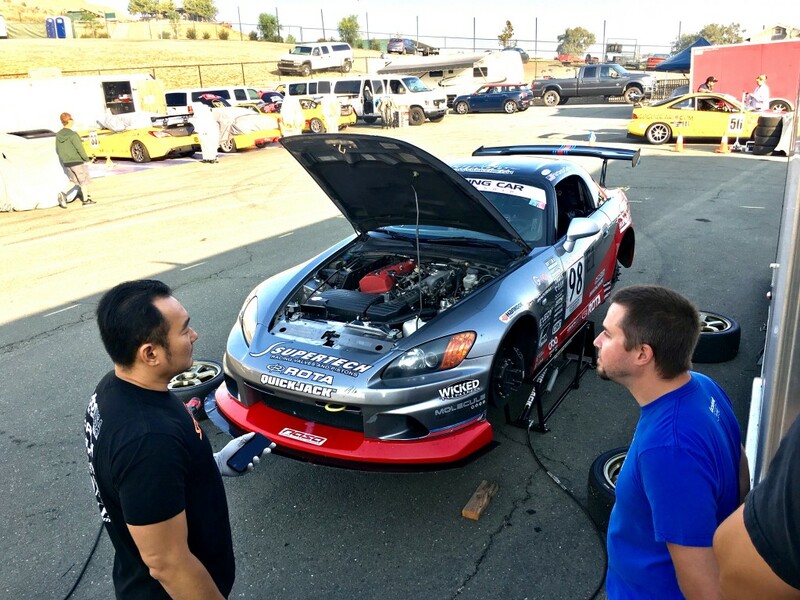 Crew Chief James Tam was back in action as was new crew member, Matt Kulka. The team prepared the S2000 for the first qualifying session and Hartanto laid down a fast lap with authority, running nearly a second faster than anyone else. “A few guys didn’t go out, but we I think we can feel pretty good about things. Provisional pole is great and I hope we keep it. Given how strange our luck has been with mechanical items this season, I’m reluctant to have us push the car in another quali tomorrow,” Hartanto admitted. Race day arrived and the team was poised to take the track again, only this time they sat out of the second qualifying session, instead opting to preserve the car and its tires for the race. This decision would ultimately result in Prima Racing’s S2000 qualifying third on the grid, with both of the BTM BMWs of Michael Shawhan and Andy Chittum beating out Hartanto’s fastest lap from the day before. “We still have the opportunity to win, but we’ll need to be diligent about choosing our battles,” Hartanto commented prior to heading out to the grid. The race started without incident, with Hartanto getting a strong start from third on the TC grid. By the end of the opening lap, Hartanto had moved alongside Chittum, overtaking the BMW in Turn 1. Hartanto then set his sights on race leader, Michael Shawhan’ BMW. The two battled for the next few laps, with Prima Racing’s Honda S2000 running next to the BMW of BTM Motorwerks on numerous occasions. It wasn’t until the end of Lap 4 when Hartanto pulled along the outside of Shawhan into Turn 11. Hartanto maintained speed, holding the outside and ultimately overtaking Shawhan. From there, Hartanto began to increase the gap, however the hard-charging BMW of Shawhan ensured that Hartanto’s pace couldn’t diminish. “Every time we tried to back out a little and give the car a rest, Michael (Shawhan) would gain ground. We couldn’t take a break. After the luck we’ve had, losing the lead on the final lap of the last Thunderhill and Sonoma races, for things outside of our control, I was pretty nervous. I was asking for the time remaining and the time delta from James a lot more than I usually would,” Hartanto explained. “But, we did it and the car held together, getting us the win! It was exactly what we needed,” Hartanto exclaimed. The victory puts Prima Racing ahead in the TC Class by a margin of 30 points, heading into the final two races of the season; a double-header event at Thunderhill, November 11-12. 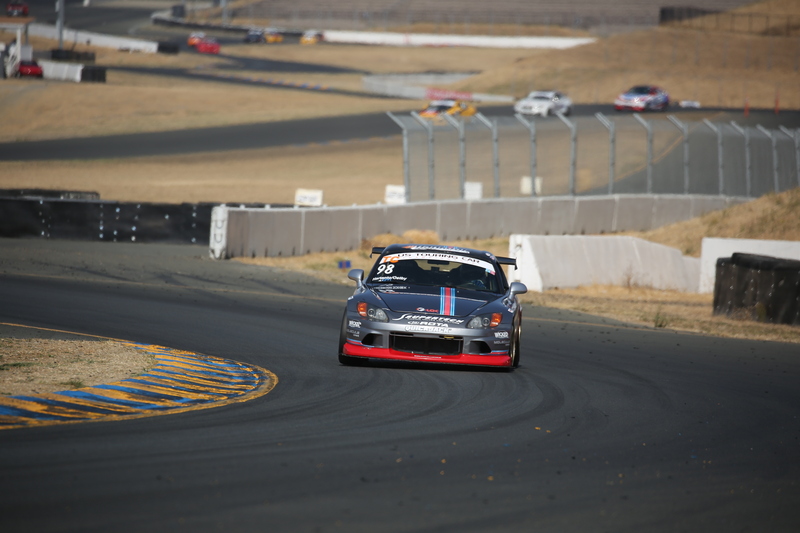 However before the USTCC finale, Prima Racing will participate in its final endurance race before the 25 Hours of Thunderhill; a 3.5 hour endurance race at Sonoma. 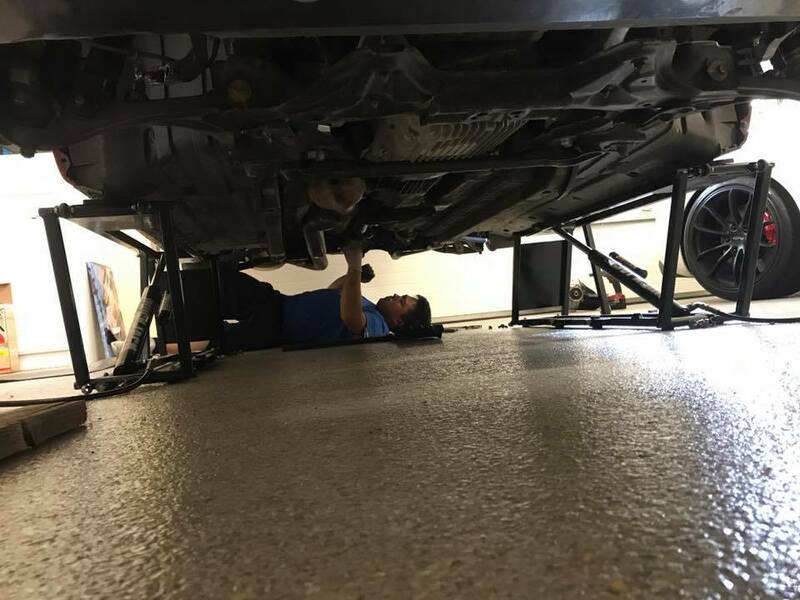 “We have our last endurance race to tune-up before the 25 Hours, but shortly thereafter, we’ll need to be ready to fight for the USTCC TC championship, so we will be busy all the way through the end of the year,” Hartanto observed. Prima Racing would like to thank its sponsors for the 2017 season; Supertech Performance, QuickJack Portable Jacks, Rota Wheels, G-LOC Brakes, CT Engineering, Hondata, Exedy USA, Wicked Tuning, BlackTrax Performance and Graphtech.